Preheat the oven to 165 °C (325 °F). Rinse the ducks thoroughly, then pat dry with paper towels. 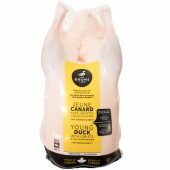 Trim the excess skin from the ends and place ducks in a high-rimmed frying pan. Season generously with salt and pepper, and set aside. Zest the orange and the limes and add zest to a bowl. Juice the 3 citrus fruits into the bowl. Whisk in the honey, garlic and mustard. Brush the two ducks with half of the marinade and bake for 3 hours, covered loosely with a sheet of aluminum foil. 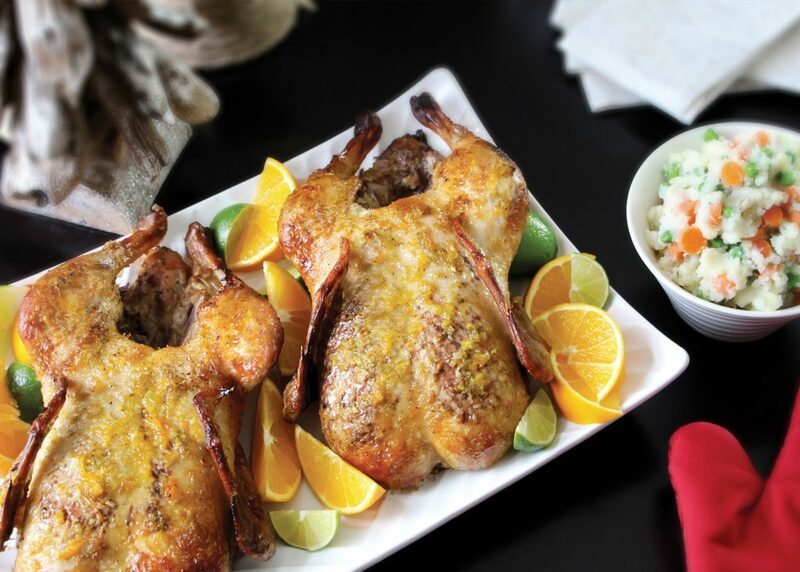 One hour before the end of the cooking time, remove ducks from the oven and brush with the rest of the citrus honey. Return the ducks to the oven and continue baking, uncovered. Check the colour of the ducks a few times. If they are browning too quickly, cover them again with the aluminum foil. Remove the ducks from the oven and let stand for 15 minutes covered loosely with aluminum foil before cutting into pieces. Serve directly at the table with the skimmed-off cooking juices, endive salad and mashed potatoes with peas and carrots. Decorate with lime and orange wedges.